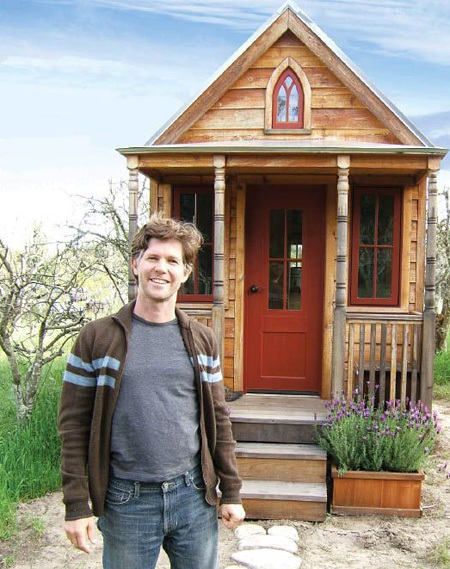 Jay Shafer from Four Lights Tiny House Company gives us the lowdown of tiny house living. He explains why he initially made the choice, how different life has been since and why he has never looked back. Jay also shares practical advice of what you need to know and do in order to transition to a smaller house. 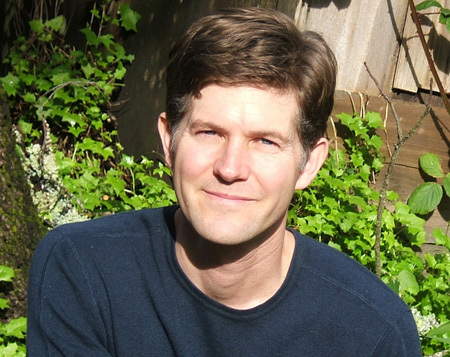 Jay Shafer is the founder of Four Lights Tiny House Company (soon to become Tiny House Company). He has been living in tiny houses for nearly 20 years and it all started because he didn't want to burden himself with a hefty mortgage. Instead he set about building a small house to fit his needs. 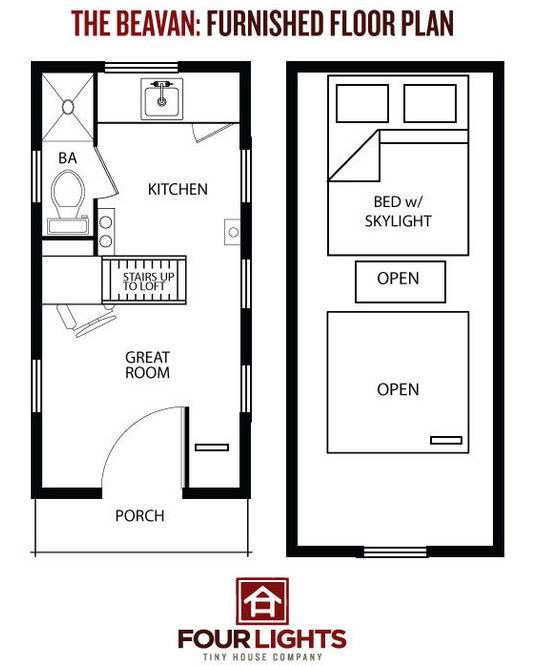 While others might define a ‘tiny house' as any house which appears to be very small, Jay likes to think of it as any house within which all of the space is being used well. You Can Still Live Tiny, Even With Children! The first house Jay lived in was 100 ft², increasing to a new dwelling of 500 ft² when he married and had two children. Now living with his two boys he is back in a 100 ft² house and always looking at ways to maximise every inch of space. 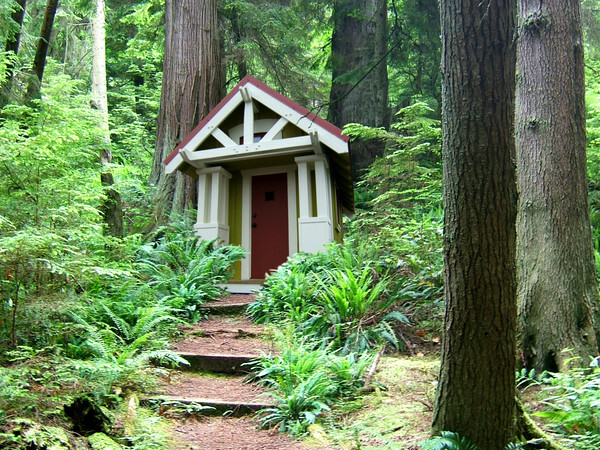 Living in a Tiny House Can Even Help Your Waistline! 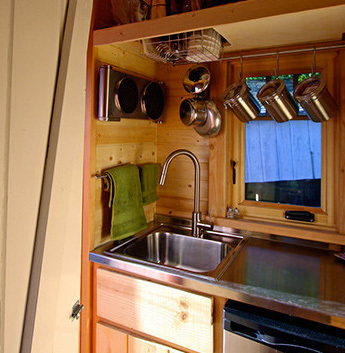 Many people living in tiny houses consider the outdoors as an extension of their home and in ways are outsourcing parts of their lives. One person that Jay designed a tiny house for didn’t have a shower so lost weight from going to the gym and using the showers there! Jay estimates that his energy bills are around 1/12th of the average for the location in which he lives. He notes recent US legislation, which has abolished minimum size restrictions for housing, now means tiny houses have to comply with the entire code. 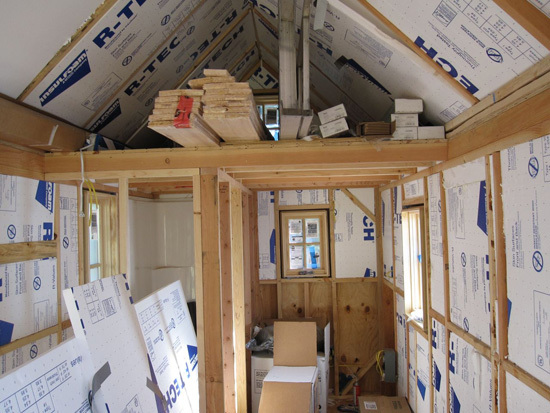 In some cases this can be counterproductive – for example, when high levels of insulation are required but are not strictly necessary for a tiny house. Spend Time in Small Spaces First to See How it Feels! Jay himself spent lots of time in small spaces to find out what felt like a good space for a kitchen for example. He compares designing a tiny house to tailoring a suit, in that it should exactly suit you and your needs. While tiny houses can be built very cheaply, if you’re designing and building small there could be more money available for quality construction materials or for more indulgent fixtures and appliances. Despite their small size, on a cost per square foot basis a tiny house can work out more expensive than a standard house. This is because all the expensive items (appliances, furniture etc.) are so close together. Jay says that his first house was not only the cheapest in Iowa City, but also the most expensive per square foot! Jay isn’t sure of the re-sale values of tiny houses, but suggests there could be a unique scenario whereby if it’s on wheels it might depreciate in value as a motor vehicle would. However if it was moved to a foundation its value could potentially increase! Much of Jay’s design inspiration came from the UK and also small houses in Japan. 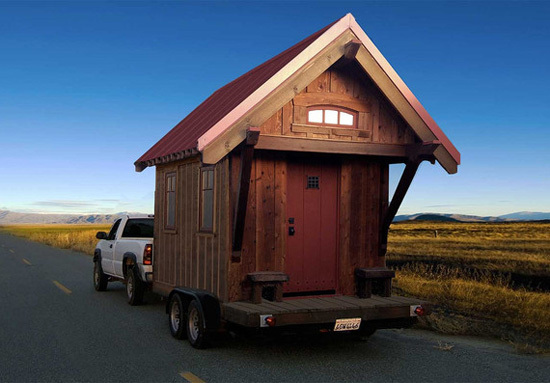 Now he says these places are amongst those where the tiny house movement is taking off. In previous decades the craze in the US and other countries has been to have ever larger homes to try and impress. He hopes that small houses are now the normal thing. The popularity of tiny houses means that a Google search will result in a huge amount of inspiration if you’re planning your own build. Jay notes that technology has also developed in line with the movement’s popularity with far lighter and more efficient materials now being available. 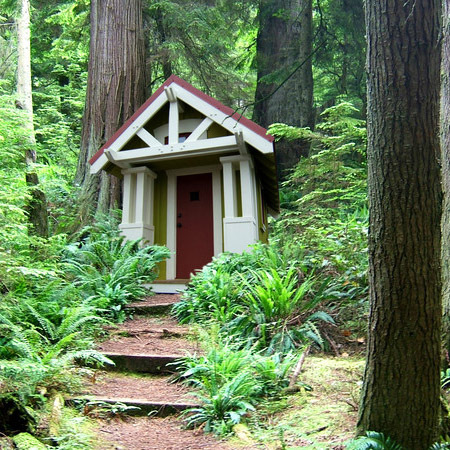 The Places with the Biggest Houses are Most Into Tiny Houses! 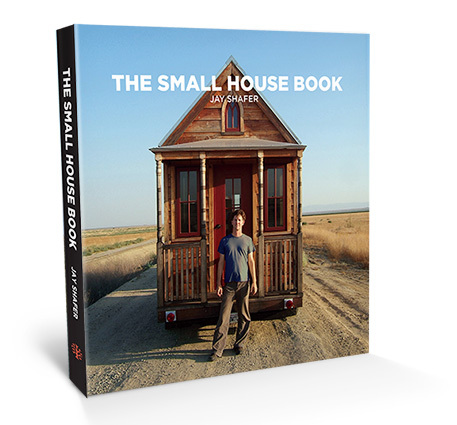 Jay cites Australia as currently having the biggest houses in the world, and yet a growing tiny house movement. He considers it almost a backlash by those who are fed up of big houses being built. Jay emphasises that living in a space that suits your needs without having to take care of a lot of extra space is liberating. He can find so few drawbacks about living in a tiny house that this is the message he likes to promote. With participants on Jay's courses ranging in years from 8 to over 80 it is clear that there is no one type of person to whom it is suited. Download a transcript of the interview with Jay Shafer.